This year marks the first anniversary of the tragic event of the Grenfell tower fire. The fire, speculated to be the result of a fridge-freezer which caught on fire, was quickly accelerated by the exterior cladding which surrounded the tower. The fire resulted in more than 70 deaths and caused national outrage as the cladding found on the tower failed to meet standards originally claimed by its manufacturer. As a result, Dame Judith Hackitt, a former chair of the Health and Safety Executive, conducted an Independent Review of Building Regulations and Fire Safety, dubbed the Hackitt Review. So, what key findings can we pull from the review? We delve into the key findings, as well as explore what this means for similar tower blocks. The disaster resulted in a considerable amount of questions, with many residents and local residents looking for answers on how the fire could lead to such devastating consequences. The main cause of the extensive outburst of fire was the exterior cladding which surrounded the tower and failed to meet industry standards. As a result of the fire, high rise buildings with exterior cladding were checked up and down the country. The emergency fire tests found that at least 159 social housing tower blocks were identified as having dangerous cladding. Although the fridge-freezer is said to be the catalyst for the fire, the exterior cladding escalated it. The cladding was added as part of a £9 million refurbishment on the tower, and aimed to improve the overall appearance of the building. The cladding panels were made of dense foam boards, coated in zinc rainproof sheeting. It was the flammable foam which helped the fire to spread, resulting in what many call a “silent killer”. It was reported that other types of non-flammable foam was considered for the refurbishment, however dropped in favour of the cheaper alternative. The Prime Minister, Theresa May, recently announced that the government will fully fund the removals and replacement of dangerous and unsafe cladding by social landlords. The removal is estimated to cost the government £400 million. Despite the known danger of combustible materials, the Hackitt Review fails to recommend an outright ban of similar materials used on buildings, as well as a ban on ‘desktop studies’, which allows materials to be tested without setting them on fire. One of the main concerns from the Grenfell Tower fire is the worry of a similar incident happening to other tower blocks across the country. With tower blocks being an ideal type of accommodation to house hundreds of residents, they also come with safety concerns, such as a lack of fire escapes, poor fire instructions and a lack of sprinklers. These concerns, comprising predominantly old fire extinguishers and a lack of fire sprinklers, were often not taken into consideration, prompting residents to set up the Grenfell Action Group (GAG) prior to the fire. Within the review, Dame Hackitt recommends a “new regulatory regime” for tower blocks with 10 or more storeys. The reasoning behind the specified threshold of 10 or more storeys has not been divulged, however, previous guidance has called for greater fire safety care to be taken for taller buildings. The future of similar high-rise buildings is uncertain. Whilst the Hackitt Review did trigger tighter regulations for similar tower blocks, many have criticised the report as failing to provide suggestions for changes to regulations. Architect and TV personality, George Clark, has launched a petition calling for a ban on combustible cladding, after claiming that “nothing had changed” a year after the Grenfell tragedy. 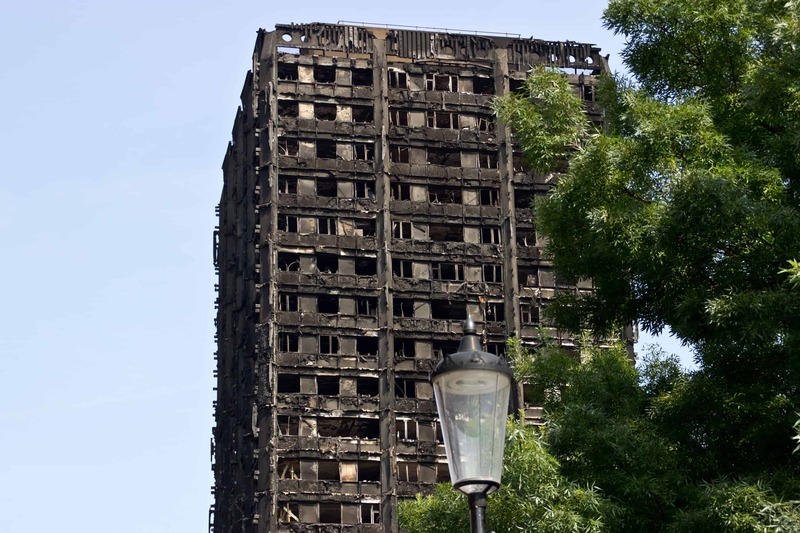 Diane Abbott, Labour Shadow Home Secretary, has similar concerns over the refusal to ban flammable cladding and said: “The refusal to ban flammable cladding outright flies in the face of the wishes of the bereaved and survivors. It also contradicts basic logic. “Elaborate systems of sanctions and whistle-blowing are unnecessary if the flammable materials are banned outright and a proper system of testing is reintroduced. Ultimately, the responsibility for regulating the safety of our built environment lies with Government. The report also suggests creating a ‘duty holder’ who is responsible for each high-rise building, including the safety and greater engagement of residents. Here at Good Move, we will provide follow ups on the latest news and housing developments as a result of the Hackitt Review.